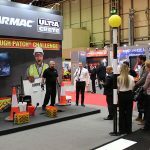 Traffex 2019, the UK’s largest and most established exhibition for all those involved in the highways and traffic-engineering sector, welcomed over 10,000 visitors over its three-day duration, which took place at the NEC in Birmingham last week. 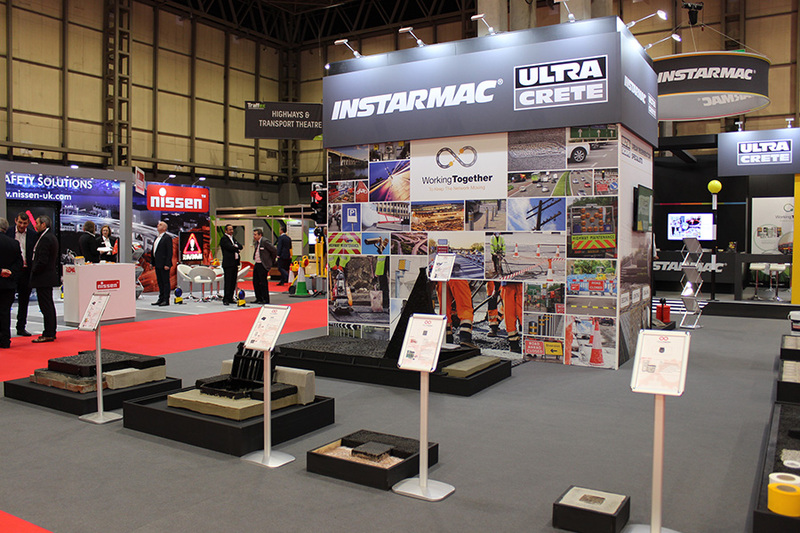 Instarmac impressed visitors with its stand theme this year, Working Together, which demonstrated how it collaborates with industry partners to raise standards and deliver continuous, cost-effective and efficient improvements to all maintenance projects on the road network. 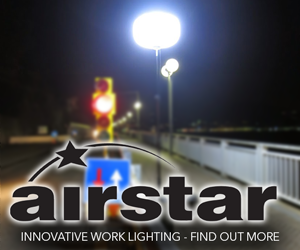 Visitors to the Instarmac Live! 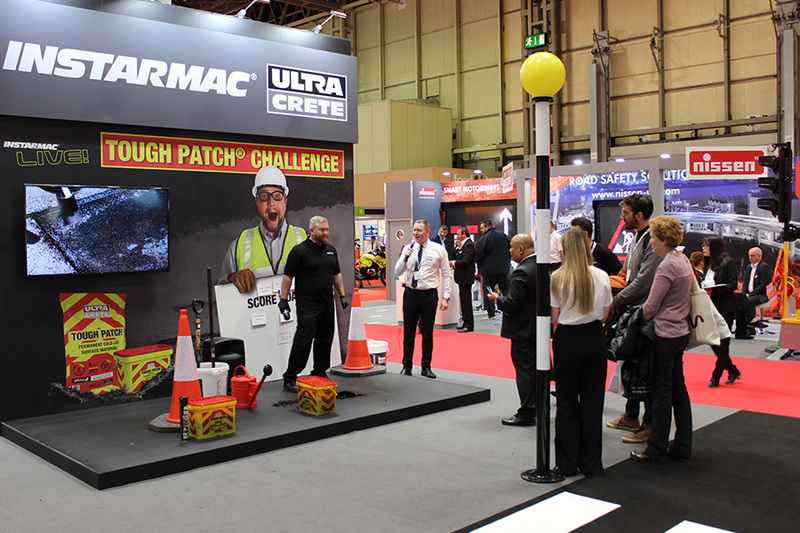 stand were able to watch daily product demonstrations of high-performance bedding mortars, backfill and surface repair concretes, from its market leading, highways brand, UltraCrete. Static ironwork displays showcased a range of UltraCrete’s certified products and systems, which provided the perfect platform for visitors to see the materials in-situ. 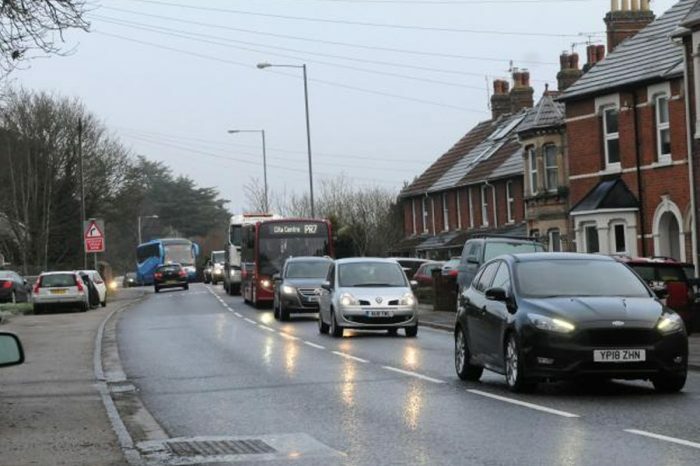 Live pothole repair demonstrations were a highlight and were carried out by Instarmac’s Training and Site Support Manager, Nick Holmes, using Tough Patch®, the latest innovation in reactive cold lay materials. 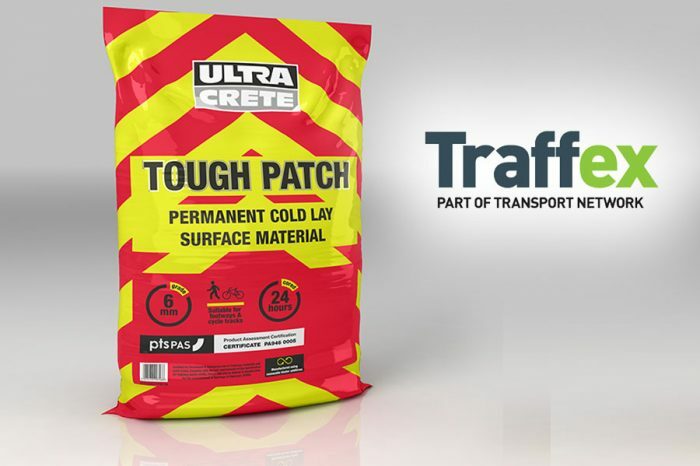 Tough Patch® contains a reactive binder that rapidly cures to create a first time, permanent repair that will accept traffic immediately after installation and can be cored after 24 hours. 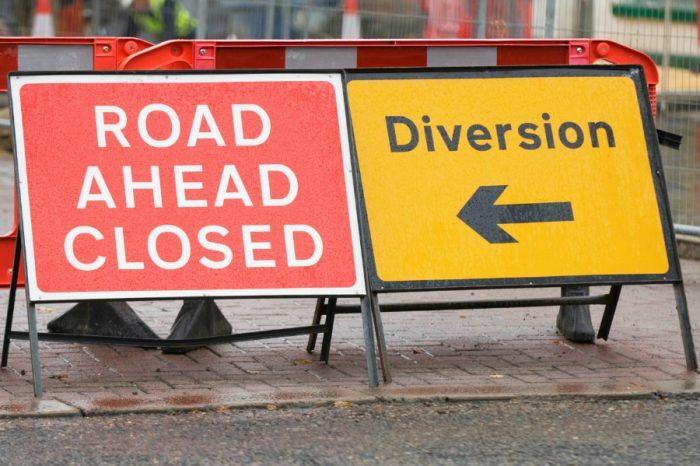 UltraCrete works with leading certification bodies to develop specifications and approvals for a range of maintenance solutions that help raise standards, reduce risk and save money. 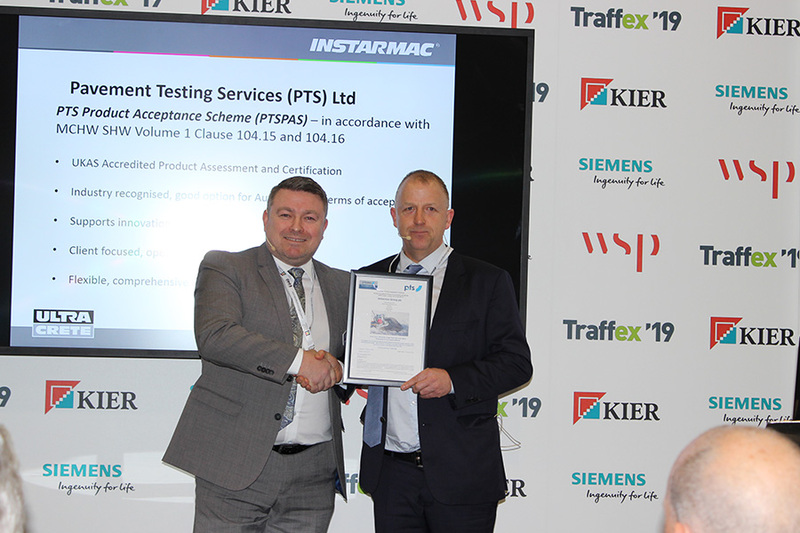 After months of working alongside Pavement Testing Services Ltd (PTS), a firm that has recently joined the British Board of Agrèment in providing industry-recognised certification for cold lay asphalt, Tough Patch® was officially presented with PTS PAS certification on the Trading Floor at Traffex by PTS’ Managing Director, Dr Tony Sewell. This was a new feature for 2019, which allowed exhibitors to deliver information on business deals and new products and innovation. 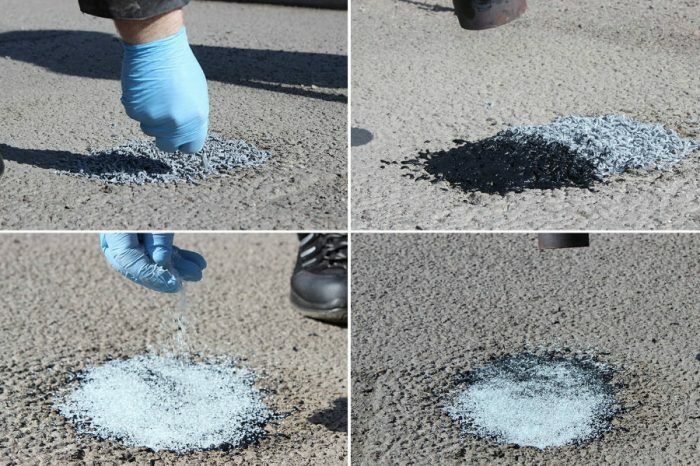 Instarmac has been manufacturing innovative, highways maintenance materials for over 40 years, and a large part of its success has been as a result of collaborative working with its industry partners, to ensure customer needs are met, and Traffex provided the ideal arena in which to demonstrate this.